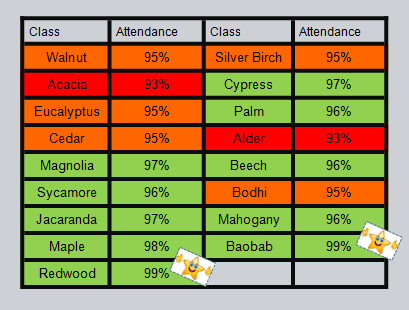 A huge well done to Redwood and Baobab classes who have both got 99% attendance and punctuality for the first half term. If they can do it then so can you! 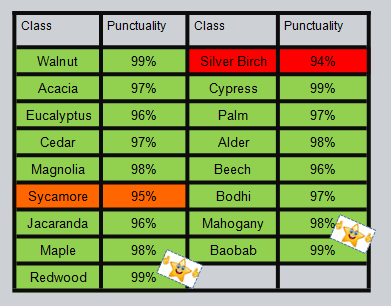 Come on Alder and Acacia, you have some work to do! Make sure you are in school every day!